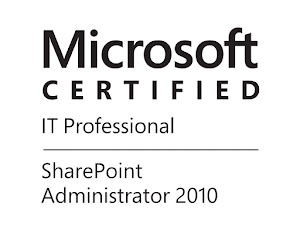 In the last couple of weeks I am working with a customer that mainly uses SharePoint Server as DMS(Document Management System). I had to move a large number of documents from one library to another due to corruption in some of the files caused by excessive use of unique permissions (~ 32 000). In this post I will not talk about why you should limit the usage of unique permissions especial in big libraries, it's a long story. As part of the work I had to copy many list views to the new library. I am not a fan of "Save as Template" approach, my solution was to use a PowerShell script and copy the views programmatically. The script did its job and I thought that it will be nice to have something like this for SharePoint Online. I was unable to find any ready script that can do this, so I wrote one. Both scripts are doing basically the same thing, getting the source and destination webs, getting the source and destination lists, getting the source and destination View collections and create new view in the destination using properties from the source. It was a bit tricky to load what I need and not making the script extremely slow with CSOM, since we cannot use simple lambda expressions syntax in PowerShell. My solution to this was to use a function written by the SharePoint automation superstar Gary Lapointe. You can check it out in his article for ItUnity, where he explains how to workaround the limitation in PowerShell concerning the lambda expressions. I highly recommend to read the entire series dedicated on using PowerShell against SharePoint Online. You can download both scripts (on premises and online) below. Please, Test, Rate and use Q&A section in the Gallery! Good stuff!! worked like a charm :-) I did get some 429s when copy from and to the same web, so I replaced the lines for the destination web with the source web then all was fine. Thanks for this!! saved me a bit a time.